Wiggins described an average week before Homecoming at Xavier, a historically black university fewer than two miles away from Tulane’s Uptown campus. The first of the historically black colleges or universities, known as HBCUs, was established in 1837 in response to the refusal of predominantly white institutions to admit applicants solely based on their race. New Orleans is home to three historically black institutions, which account for just a few of more than 100 HBCUs that exist today. Homecoming at Tulane is a bit different from the Homecoming celebrations at schools like Xavier. Tulane is often classified as a predominantly white institution, or PWI, due to its majority white student population. Most students at Tulane mark the beginning of Homecoming week with the painting of the windows of the Lavin-Bernick Center for University Life. Student organizations decorate a part of a window with their choices of designs. Without these windows, some students might not know that Homecoming season is around the corner. Tulane hosts a myriad of events to amp up school spirit and excitement for Homecoming season. “I overheard a lot of people talking about the homecoming carnival, concert, comedy show and movie nights with great enthusiasm,” Tulane freshman Haylee Martinez said. 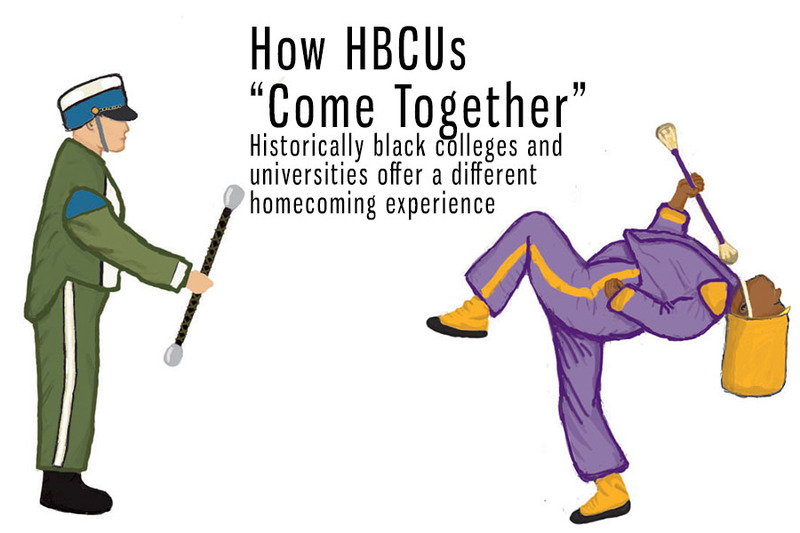 HBCUs also plan a range of events for homecoming week, but perhaps the most notable events are the concerts. These institutions typically welcome some of the most influential artists to perform during their Homecoming festivities. This year’s performers at various HBCUs did not disappoint. Jackson State University’s headlining performer for its Homecoming was rap legend Lil Wayne, accompanied by Cardi B and Yo Gotti. Howard University’s lineup for Homecoming included Rhythm and Blues singers Daniel Caesar and Tory Lanez, as well as Rick Ross. On Nov. 15, H.E.R. will perform at Xavier University. Meanwhile, Tulane signed Jesse McCartney, who performed his hits from 2006 including “Beautiful Soul.” The two previous years’ artists include indie band Broods and white rapper Hoodie Allen. At Tulane, like other Division I schools which are often PWIs, Homecoming centers on its leading sports team, usually football. At a school like Tulane, with an underperforming football team, some students feel like Tulane’s Homecoming week does not offer options for everyone. What some Tulane students thought would be a win against the University of Cincinnati turned into a disappointing 17 – 16 loss. At HBCUs, sporting events are typically overshadowed by the large number of alumni who return to their alma maters to participate in Homecoming festivities and reminisce with former classmates. And with all of the excitement, for many students at HBCUs, Homecoming weeks mark the highlight of their years.